I’m making my way through Gregory Sholette‘s epic Dark Matter: Art and Politics in the Age of Enterprise Culture. Writing as a participating artist and now dark matter art archivist / dare I say historian of sorts, Sholette writes on an incredible number of projects that work at the edges of the art institution in every sense. Many of the projects explicitly connect art + everyday life + politics and Sholette offers a generous overview of the practices that build the foundation of dark matter in the art world that art institutions and art superstars rely on for their continued existence. 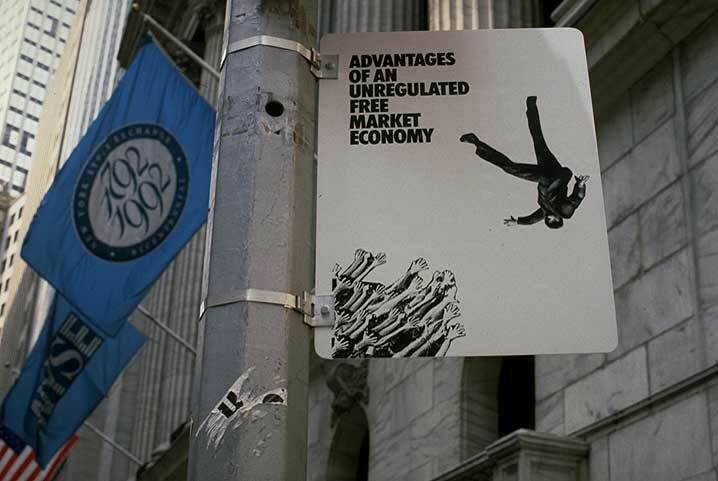 One of the (many) projects that caught my eye (and on which I’ll be posting) is REPOhistory’s Lower Manhattan Sign Project, which curated these alternative history/information signs into a number of public spaces across New York City. In thinking about the projects we’ve done and have considered before, these alternative public demarcation projects continue to feel not only relevant, but necessary. REPOhistory’s project was installed in the early 90s — it’s strange that that is now a long time ago and that urgency seems like a form of nostalgia.